Martin Locke now holds both the common carp and mirror carp records at French fishery Rainbow Lake. In November the Solar Tackle boss caught a record common carp of 84lb. 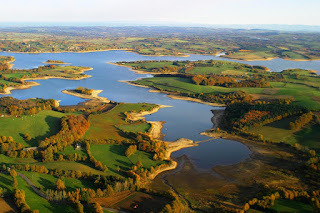 Locke now holds both the common and mirror records for the well known record water Rainbow Lake near Bordeaux in France. In January 2010 Martin Locke broke the world record carp by catching the Steve Briggs Fish at a record weight of 94lb. Later that year this record was broken by The Scar of Les Graviers near Dijon with a new record weight of 99lb. The lake record common carp was hooked using Solar's club mix boilies. Given the current weight of this common there is quite a big opportunity that the current world record common carp (Mary from a German syndicate lake) will be broken in the future by the Rainbow Lake mirror.